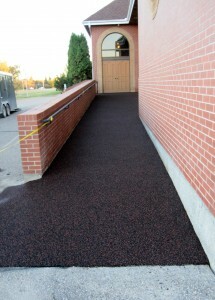 High traffic areas, entrances, fitness centres, ice rinks, arenas, churches, schools, day cares, shops, basements hallways, offices, etc. 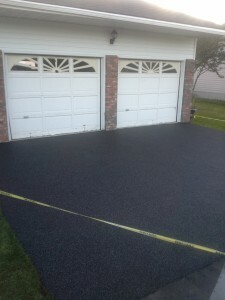 Rubber flooring is a workhorse. 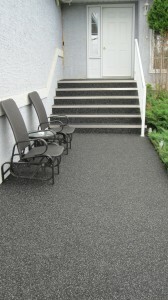 Slip resistant, has great abrasion qualities and good acoustic properties. 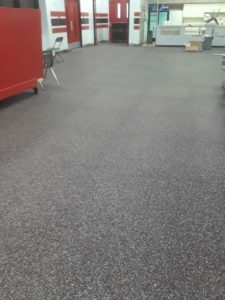 Options include; interlocking tiles, glue down tiles, loose lay 4*6 mats in a variety of thicknesses and colors to match your specific requirements. 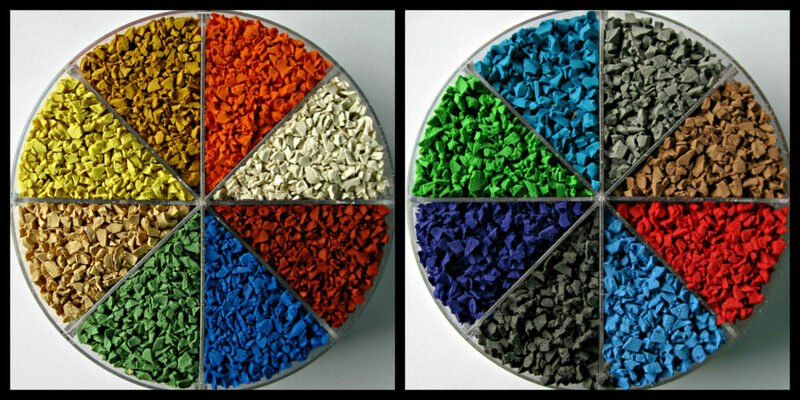 Customize the colours to your specifications and budget. 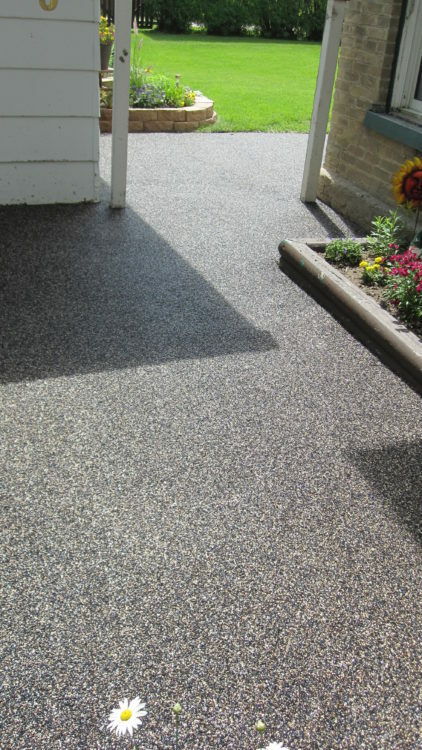 Rubber Stone is highly flexible and safe to walk on year around, performs exceptionally well in the winter months. 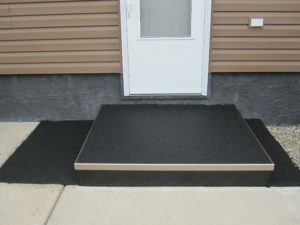 Can be installed on asphalt and concrete surfaces. Limited bookings available for 2019 season.